March 1, 2016 - In the primary state of Nevada the day before Super Tuesday, John Podesta gives an interview to KLAS-TV political reporter Steve Sebelius. He confirms the statements made by Secretary Clinton to the Conway Daily Sun were serious. March 15, 2016 - PRG publishes an expanded Open Letter to Secretary Clinton, issued it as a press release and faxed a printed version to every House and Senate office. 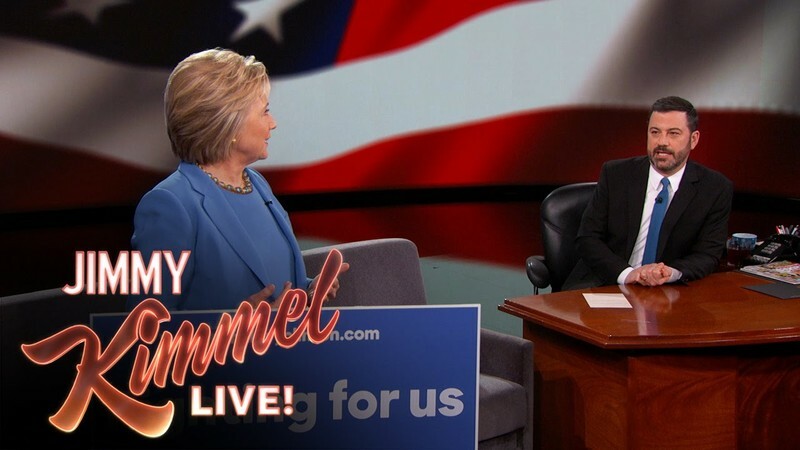 March 24, 2016 - Secretary Clinton appears on Jimmy Kimmel Live and arranges to be asked about the UFO/ET issue. She reiterates her intention to open the government held UFO files to the public. Notably, she deliberately moves away from the term UFO to UAP (Unidentifed Aerial Phenomena) and indicates a change of language is warranted.